For a new home floorplan in Charlotte that’s charming, traditional, spacious, and a great value, check out The Summerhill by True Homes! Part of our new home floorplans in Raleigh and the surrounding areas, this exciting new True home offers three to four bedrooms, two-and-one-half to three-and-one-half baths, and 2,668 square feet to 2,993 square feet of thoughtful living space. 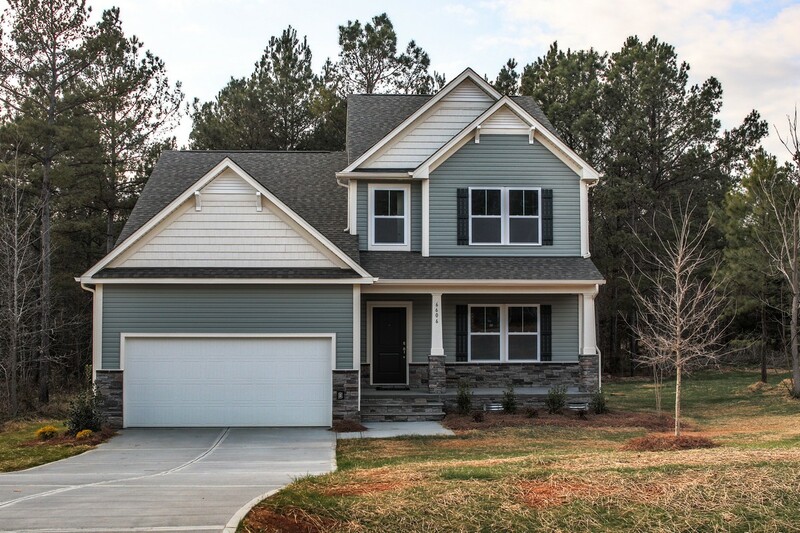 Perfect for large or growing families, you’ll find this new home floorplan in Charleston, Greensboro, Winston-Salem, and beyond—and always in one of True Homes’ wonderful Carolinas communities. And because it starts from just $198,400, The Summerhill is also one of the best new home values you’ll find. Part of the True Homes Elements Collection, The Summerhill features a large, flexible floorplan that gives everyone in the family a space to call their own at a price point that works for you. The Summerhall floorplan greets family and friends with a spacious covered front porch, perfect for spending a lazy Saturday afternoon on with a good book and glass of sweet tea. But just like any good new home floorplan in Charlotte, The Summerhall’s charm doesn’t stop at the curb. Once inside you’ll be greeted by a formal dining room (or optional study) that leads into the kitchen. The spacious great room with optional fireplace, located just off of the open kitchen, is perfect for entertaining year round. Try adding some optional faux beams above the kitchen for an even more dramatic look, sure to impress guests. A breakfast nook rounds out the main floor dining space os this exceptional home. Tucked away beyond the great room you’ll find the main floor master bedroom and bath, both featuring numerous ways to upgrade and customize this new home floorplan in Raleigh to your liking. 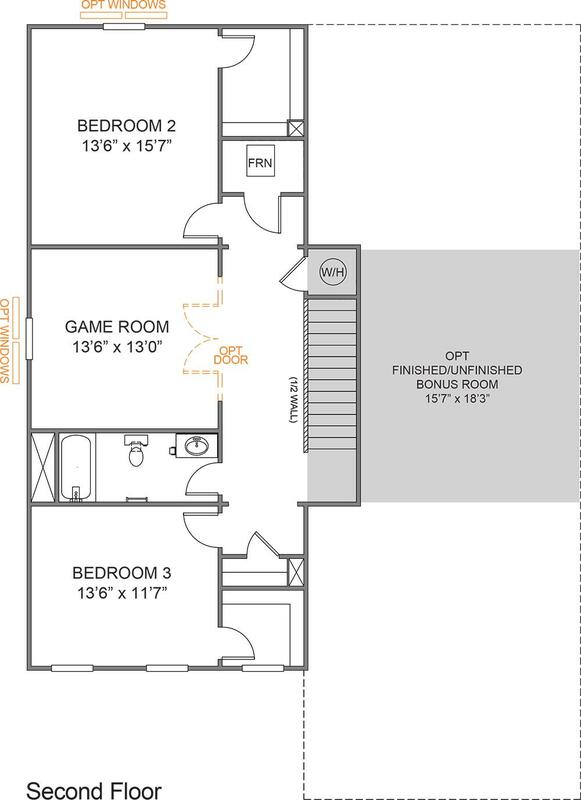 Upstairs in this new home floorplan of Charleston you’ll find bedrooms two and three and a game room, which has the option to be converted into bedroom number four. An optional finished or unfinished game room provides even more space for kids or guests to play and unwind. Many customizable bathroom options exist here as well, so you can customize The Summerhill to your family’s liking. The Summerhill floorplan can be found in True Homes new home floorplans in Raleigh and hroughout North and South Carolina.Including in Statesville, North Carolina in the charming community of Larkin starting at $1,635/Month. Larking is Statesville’s only new home construction being offered with golf course living and is just minutes from historic downtown Statesville, Mooresville, Davidson and Lake Norman State Park. 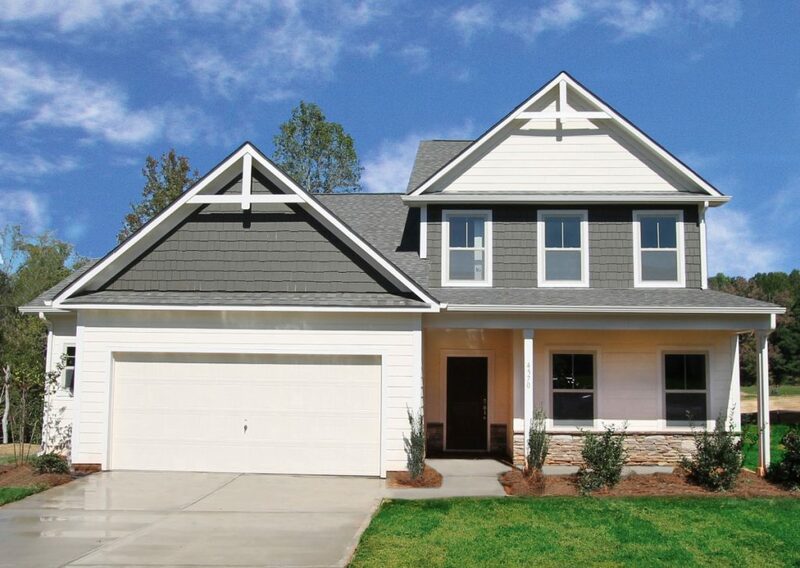 The Summerhill is also available in Greensboro, North Carolina at Reedy Fork – Oakgate starting at $1,546/Month. This True Homes community is located in the Reedy Fork Ranch master plan subdivision in Greensboro that includes its own on-site Elementary School. The community also features a swimming pool and tennis courts. You can also find The Summerhill in Lancaster, South Carolina at Edgewater Lake View Pointe starting at $1,475/Month. Here you can enjoy Resort Style living on the lake. No matter which True Homes community you decide to build this charming plan in, you’re sure to love the design—and value—that comes with it. 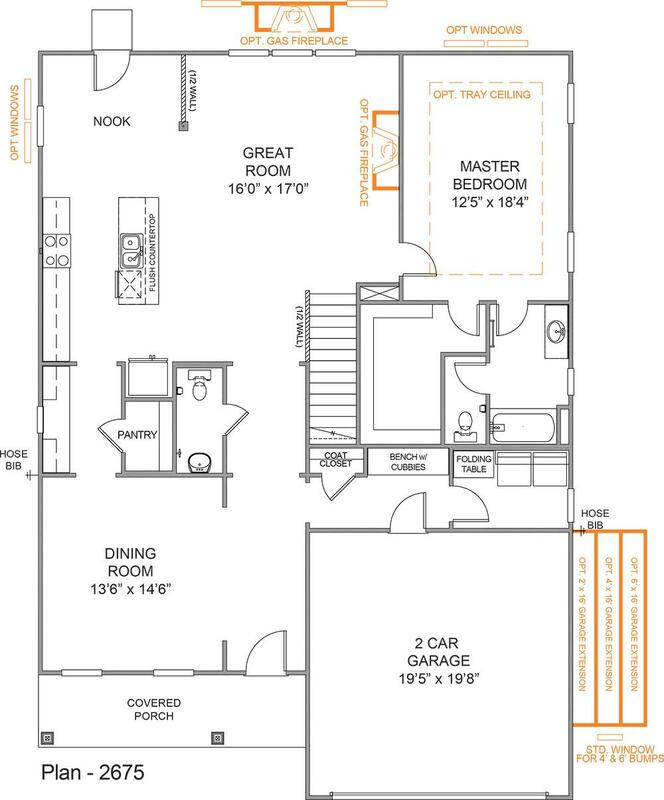 For more information on this and other True Homes new home floorplans in Charlotte or beyond, contact us today.